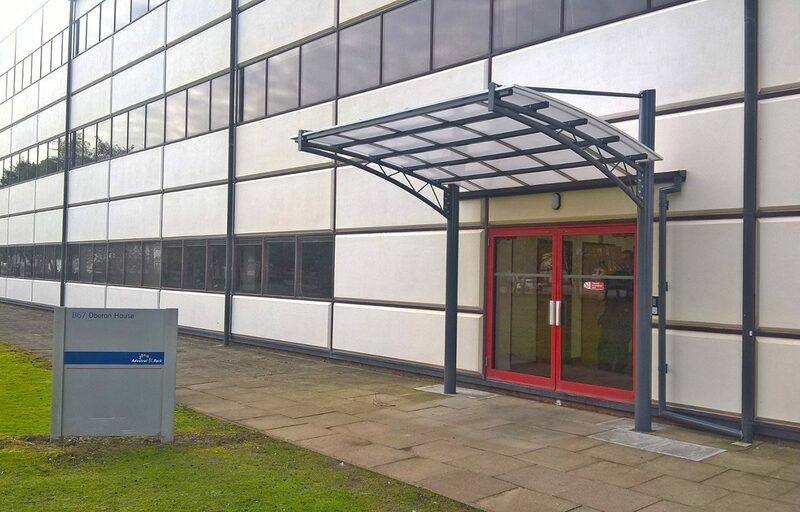 Entrance canopy fabricated for the BT building in Ipswich. Fordingbridge recently completed a polyester powder coated steel entrance canopy. Installed in a single day, this structure provides shelter from the elements for users. The canopy enhances the building by providing a modern aesthetic whilst creating an obvious entrance for the business.